Added on October 19, 2017 by gaia grossi. 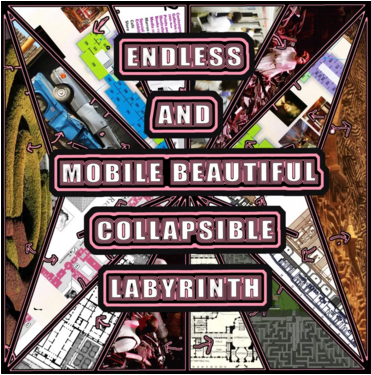 Curated by Flux Artists-in-Residence Seth Timothy Larson and Abigail Entsminger, The Endless and Mobile Beautiful Collapsible Labyrinth is an interactive sculptural installation taking over Flux Factory’s gallery February-March 2017. I was invited by painter Fei Li to perform as a sculptor and actress (reading from Italo Calvino Six Memos for the next Millennium) together with sculptor and dancer Carole Halle.